The picture doesn’t do this dish justice, recipe link above , the chicken wasn’t browned off due to time constraints and no mozzarella or basil to add at the end but the flavour is still amazing. Simple but hearty. 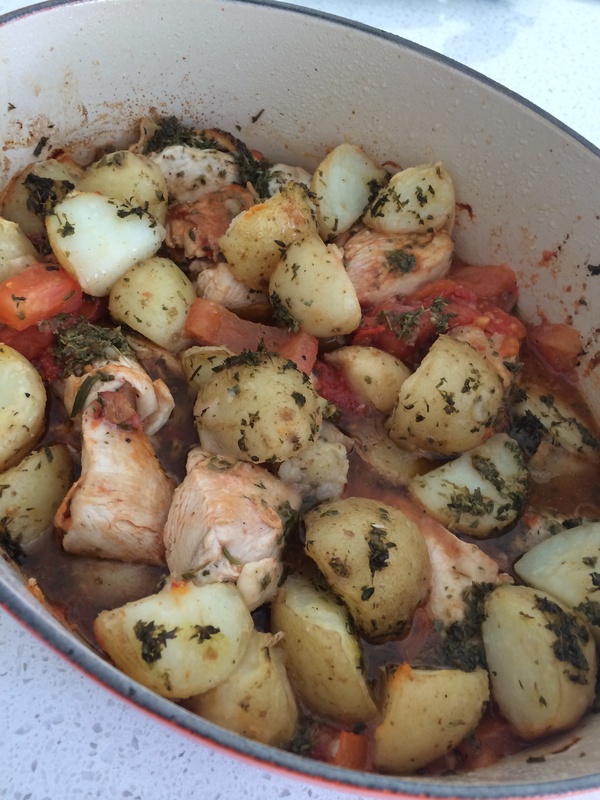 Baked chicken casserole with potatoes and tomatoes topped with fresh herb vinaigrette ; rosemary and thyme with red vinegar. Used the thermomix to steam potatoes, 25 mins, Varoma temp, speed 2. Roughed up potatoes by shaking the potatoes in Varoma. Then blitzed the herbs finely at speed 8 and completed the vinaigrette at speed 5. Served with side salad. Kids loved it.